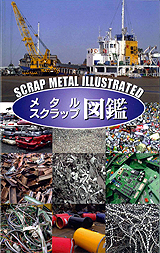 The only illustrated book of scrap metal in the world. It covers 300 types of product, each of which is shown in a clear colour photograph. For each product, information is provided as to its likely origin, its special characteristics and the procedure for preparing it for recycling. Colour photographs of radioactive and other potentially dangerous products are included. Written in both Japanese and English. 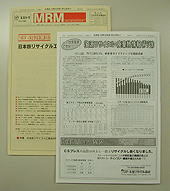 The only daily newspaper dedicated to the scrap metal industry in Japan, Metal Recycling Japan offers information on scrap metal markets and metal recycling. Ferrous and non-ferrous scrap market prices are published daily. Metal Recycling Japan monitors the price changes and the shifts in supply and demand within the industry and the analysis we provide is widely respected in the steel and the non-ferrous metal industries. Metal Recycle Monthly is a magazine overflowing with information about scrap metal. Topics of global interest, information about recycling, and explanations of recycling legislation are all covered. It also supplies information about the market for steel and aluminium cans, and the market for used paper. Metal Recycle Monthly is widely read, not only in the scrap metal industry but also by the industry's regulatory authorities and by other companies engaged in recycling. (C)Nikkan Shikyo Tsushinsha Co,ltd All rights reserved.